Lil Miquela is an Internet star. The style influencer, musician, and outspoken trans rights and Black Lives Matter supporter, isn't real in the typical sense. Miquela Sousa (she assumes a Brazilian-American identity) is an avatar created by Los Angeles-based start-up Burd. While she's a CGI character backed by a team as opposed to a real life 19-year-old girl, the subjects Sousa advocates for, from body positivity to rights for undocumented immigrants, are representative of many in her adopted generation. 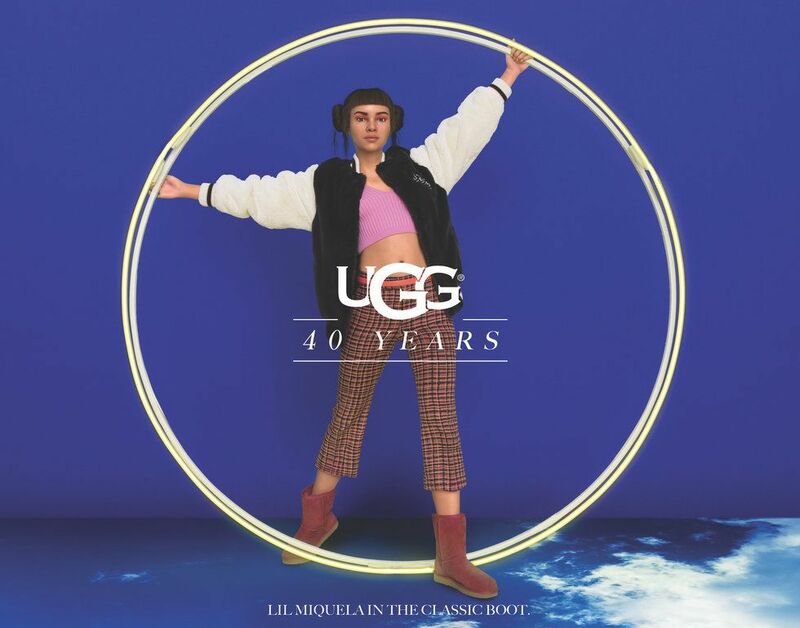 That's why California-based footwear label Ugg has enlisted Lil Miquela for its month-long 40th anniversary campaign. Joining British model and founder of Gurls Talk Adwoa Aboah, DJ and artist-turned-designer Heron Preston, and multihyphenate creative Luka Sabbat, Sousa models classic Ugg styles in a campaign shot by Erik Madigan Heck. The simulated Instagram model fittingly appears in the American photographer's signature surrealist environments: seated on jagged rocks over crashing waves and straddling a giant hoop above clouds. With 1.4 million Instagram followers and counting, Lil Miquela's audience outnumbers the Abloh's and Preston's (Sabbat and Sousa are neck and neck). 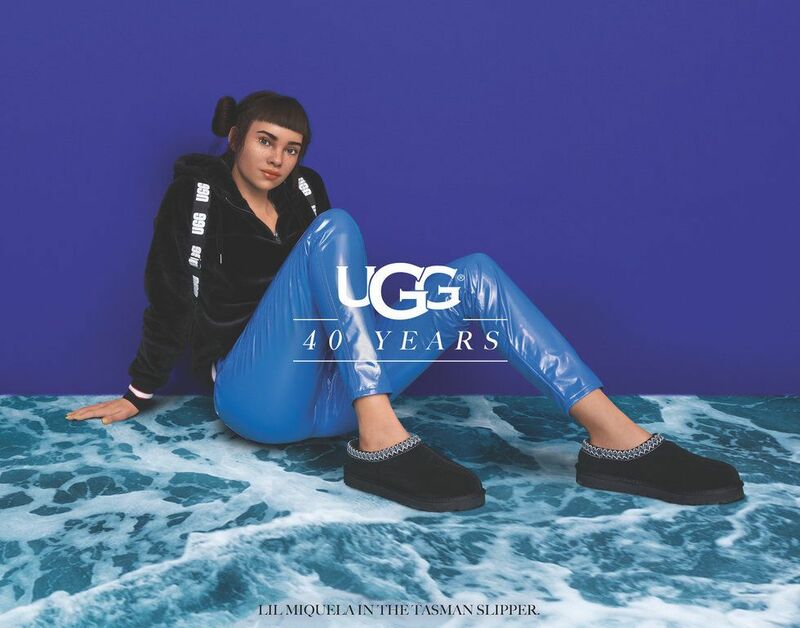 Though intended to celebrate Ugg's evolution over the years — from surf-shop staple to a ubiquitous style and experimental canvas for designers including Y/Project's Glenn Martens — Sousa's involvement rehashes questions of the future of fashion influencers.